Every once in a while, a seemingly small or incremental change in technology has a very profound effect on a variety of products and their associated markets as these technological shifts become implemented. 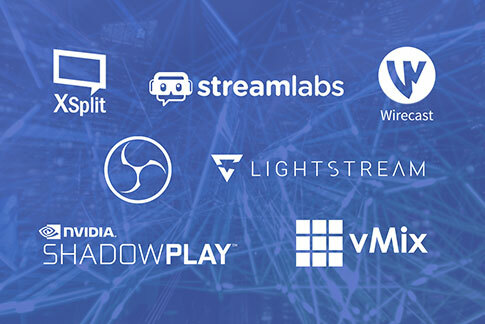 The introduction of UVC drivers into all of the major operating systems (Windows, MacOS, Linux and Chrome) is one such change which has had a dramatic impact on the video grabber market. To use a video grabber before UVC technology came along, the capture computer needed to be configured with the proper drivers and capture software. Grabbers were limited in use to their configured capture computer or other computers with the same setup. With the introduction of UVC drivers in all major operating systems, UVC-compatible grabbers don’t need any installation or set-up and are able to immediately capture content. 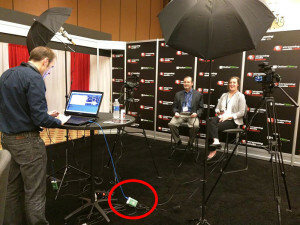 The video grabber shifts from being an extension of its capture computer to becoming a true accessory of its capture device (i.e. video camera, tablet, HDTV). This decoupling of the video grabber from one specific capture computer creates true portability in video grabber capture. but for others, the driverless installation is a game changer. In some workplaces for example, it is either very difficult or outright prohibited to modify computer software and reconfigure settings. 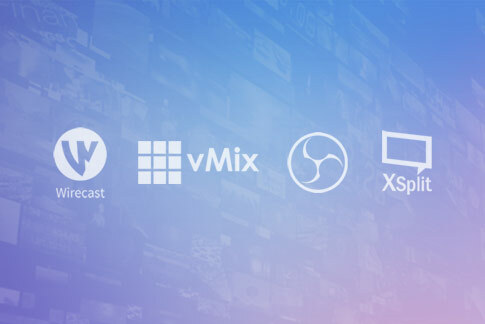 Many native capture applications included with popular operating systems (Windows Camera, for example) are also UVC-compatible, meaning that the user has no need to download either drivers or third-party capture applications. 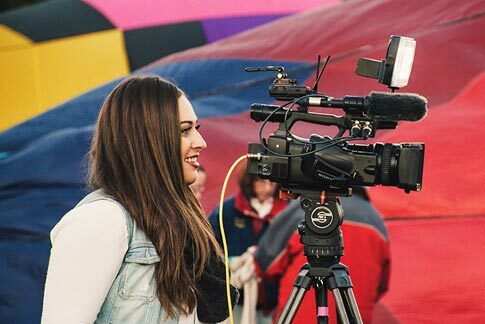 Such versatility expands the market for video grabber products and the resulting increase in product volume allows vendors to reduce the price of products sold into the market. Before UVC drivers, video grabber manufacturers had to write and maintain drivers for each of their products on all operating systems they wanted to support. Every time there was an update to a given OS (e.g. Windows XP, Windows 95, Windows 7, Windows 8.1, Windows 10), these companies would need to test with early beta releases of the OS and adapt their drivers to accommodate any changes. Such extensive testing is a very time consuming process and often results in users experiencing issues with current hardware when they upgrade their OS. Things work much more efficiently with UVC drivers. For example, Microsoft provides updates to Windows drivers (including UVC) with every successive Windows version. Hardware manufacturers still need to perform testing to ensure that their hardware is compatible with the updated UVC drivers, but this is a much simpler, less error prone and less time consuming process. The end result is that the user who upgrades their OS has a much higher probability that their new OS version will continue to work with their existing peripheral hardware. Users are happy because their upgrade experience is much smoother and hardware manufacturers are happy because they’re provided with updated drivers from the OS vendor rather than having to re-develop their own. This centralized development, testing and maintenance of drivers by the OS provider is significantly more efficient for the industry, and this efficiency is passed onto the user in the form of reduced pricing for UVC-friendly products. The lower the development costs for the hardware manufacturers, the less they need to charge for the resulting products. The elimination of proprietary driver development also lowers the barriers to entry for those wishing to enter the hardware manufacturing market. No longer do they require the people, expertise and time to develop software drivers for multiple operating systems. Instead they can afford to be smaller, more nimble companies focused on hardware development. New companies often bring new ideas and create products which currently don’t exist in the marketplace. New companies very often compete directly with existing products in the market which serves to foster competition and further reduce pricing for the end user. The removal of driver development spurs the overall pace of product development and results in more product variety for the user. As the market grows in quantity and variety of hardware UVC devices, so does the offerings of 3rd party UVC-compatible software. 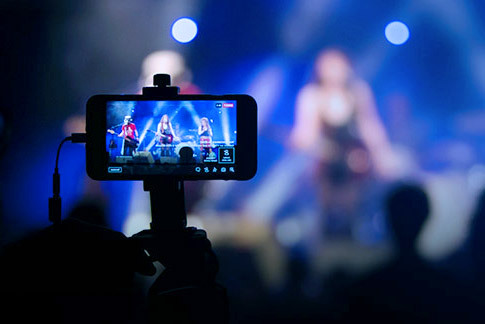 And as video capture hardware becomes more prevalent and affordable, new software tools in a wide range of market verticals (corporate, education, healthcare, industrial etc.) also come to market. This further lightens the load on the hardware manufacturers as they can refer their customers to these 3rd party applications rather than having to develop them on their own. Development costs are reduced for hardware manufacturers which encourages even more new entrants to the market, creating additional competition and lower product pricing for the user. Another effect of having hardware manufacturers focus solely on hardware products (as opposed to software driver development that they traditionally require) is that they are forced to work harder to differentiate their product. No longer will the user be selecting these products based on who has stable drivers supporting their favorite flavor and version of OS. Now it comes down to other factors, such as quality features and performance of the product, product support, and documentation. The result? More specialized video capture products that are introduced and designed to closely match the individual consumer requirements. 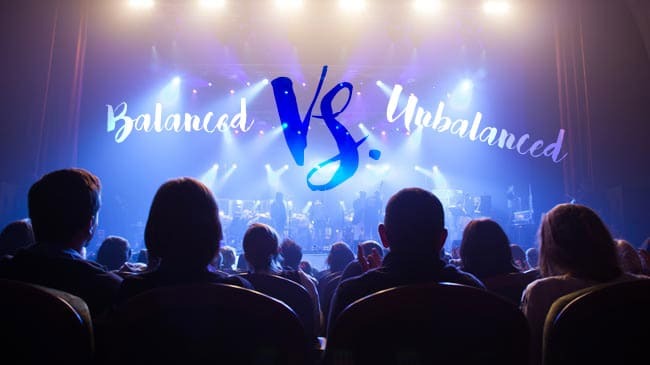 As vendors work harder to differentiate their products without being able to do so in the software drivers, the user wins yet again by receiving more tailored products with better performance, documentation and customer support. 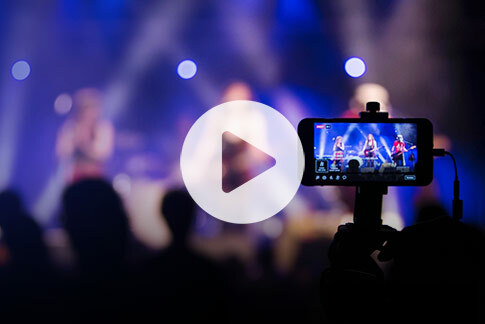 The introduction of UVC drivers into all of the major operating systems signals a maturing of the video capture industry and has created a number of subsequent effects which ultimately benefit the user. Having OS-provided drivers increases the size of the capture market, reduces vendors’ development costs, encourages new market entrants which increases competition, encourages stronger product differentiation and accelerates the rate and variety of products introduced into the market. All of these effects combined create more choice among higher quality products at lower prices for the consumer while enhancing the user experience with added portability and smoother migration to new operating system versions. Why do companies still do their own driver when they can use UVC? UVC-based capture products require no installation and thus allow for simplicity and versatility of use with limited configuration. 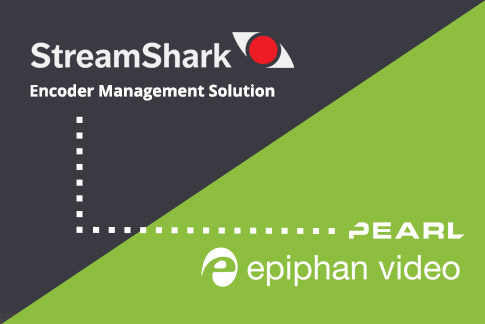 Products which use their own drivers allow for extensive depth of configuration for users who require precise control in their video capture projects. can you confirm UVC device can record the picture at 60 fps ? 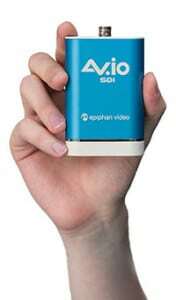 Yes, our AV.io HD, AV.io SDI and AV.io 4K video grabbers can all capture 1080p content at 60 fps. 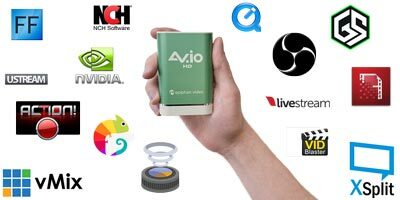 AV.io 4K can also capture 4K UHD at 30 fps.